The Wolverine beard style is a mix between mutton chops and a full beard depending on which “X-Men” movie you’re watching. If you’re wearing it like actor Hugh Jackman (“Wolverine”), then it doesn’t hurt to have disheveled hair and a ripped body. The Wolverine exudes no shortage of confidence and it also has a somewhat feral quality, i.e., you’re fine in average social situations but you were also born to be wild. It’s the kind of beard that makes women want to get romantic with you and men want to hang out with you. Whether you can wear and embrace it in daily life is open for debate, but it’s certainly a style that will grab attention. 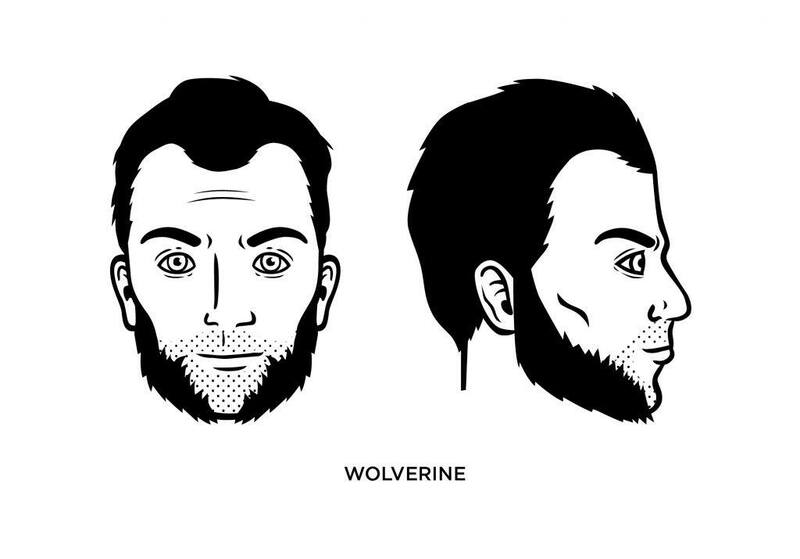 What Face Shape Best Suits the Wolverine? An oblong face is a good match for the Wolverine, although an oval face provides a good foundation, as well. Then again, oval faces seem to provide a good foundation for just about any facial hair type. You’ll need a full beard to get started with this one. Once you’ve reached that point, it’s time to focus on your mutton chops. You have some wiggle room here – i.e., you can tweak your personal mutton chop style – but the most common version is one that extends to the chin line with the shape of a “J.” That will give you the best Wolverine look. Trim the sideburns regularly to keep them stylish and well-shaped. Thanks for this I am a big fam of Logan so I was just how to properly style my beared like this . Thank you so much . After this I want to style my beared as captain america of avengers infinity war, so please create a blog on that too . What about under your chin? You’re right. It deserves a better video. Removing it for now. Thank you for noticing.